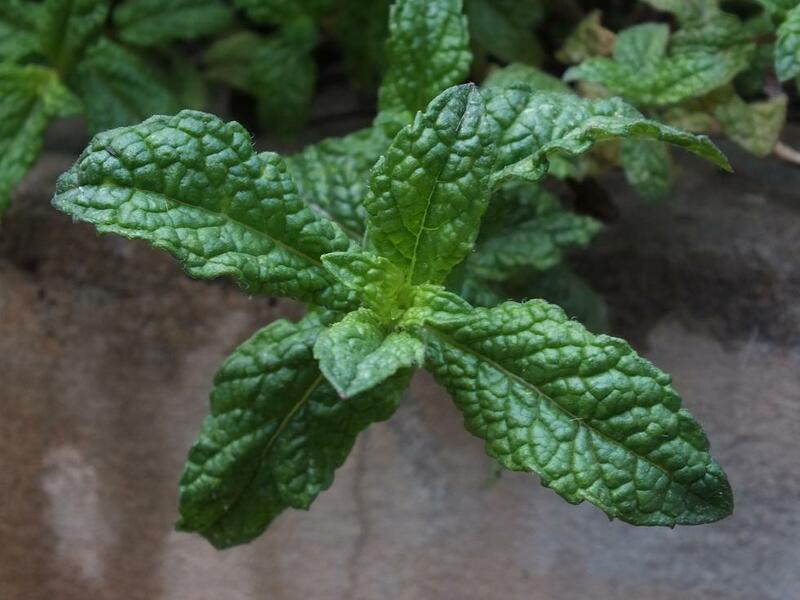 The more I read about and cook with Salvia officinalis the more I love the plant. I’ve been rather obsessed with sage over the last few weeks as anyone who follows Scarlet Bennett’s blog and particularly her creative challenge will attest. Sage was one of the herbs my mother planted in an asbestos Everite pot on our back verandah in the mid 1960s. It was the plant closest to the tap, the plant we walked past every day, on the way to school, and when we came home. It was the plant that survived, albeit as a slightly stunted specimen, until my mother moved from the house after living there for thirty years. All the herbs we cooked with came from those Everite pots. I think my mother despised bought dried herbs in much the same way she despised white bread. My early memories of the herbs in the pots are meshed in my mind with the many hours our family spent on the verandah – my younger sister and I zooming around in apple box ‘cars’, all three sisters lazing around reading (Enid Blyton for the younger two) through the summer holidays, the many meals eaten outside – and with Simon & Garfunkel’s Scarborough Fair. I didn’t doubt that those four herbs were sold at Scarborough Fair. I could not have imagined that Scarborough Fair no longer existed or in fact that it had been a very real fair for 500 years (albeit on and off). The fair was first held in 1253 in the ancient Yorkshire town of Scarborough and it ran for 45 days every year from 15 August until 29 September attracting merchants from all over Europe and the Ottoman Empire. Sage, it seems, was introduced to Britain by the Romans but salvia’s documented existence goes back way further than the Romans. 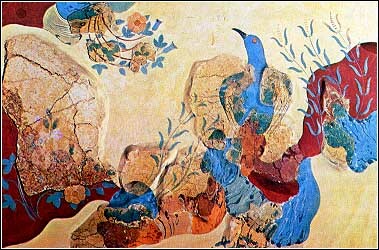 It was first mentioned, as a medicinal herb, in the Ebers Papyrus dated 1500 BC and its purported first image (although from reading further I think this was more likely vetch) was seen along with rock roses, irises and lilies in the Minoan ‘Blue Bird Fresco’ from Knossos, Crete circa 1450 BC. Fragments of sage were however dug up at the site. Judging by this evidence there is clearly no doubt that sage has impeccable culinary and medicinal credentials stretching back about as far as is possible. But how can the modern woman – or man – do justice to Salvia officinalis? For a start plant some in your garden. Richard grew ours from seed over five years ago and the sprawling plant delights us with its soft fresh new growth and intricate purple flowers each summer. 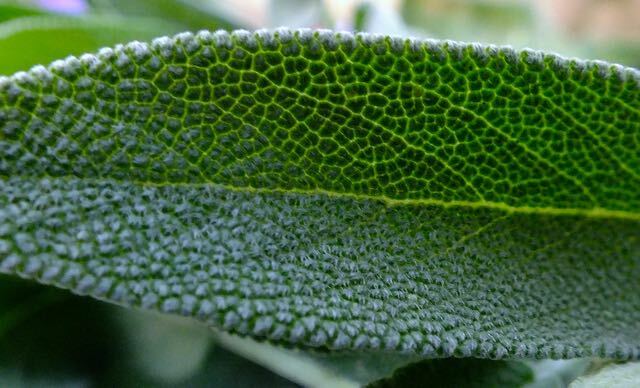 And even in the depths of winter we always have an abundance of sage leaves at hand. Then, I suggest you pick a sprig or two of leaves each day and brew yourself a pot of sage tea. 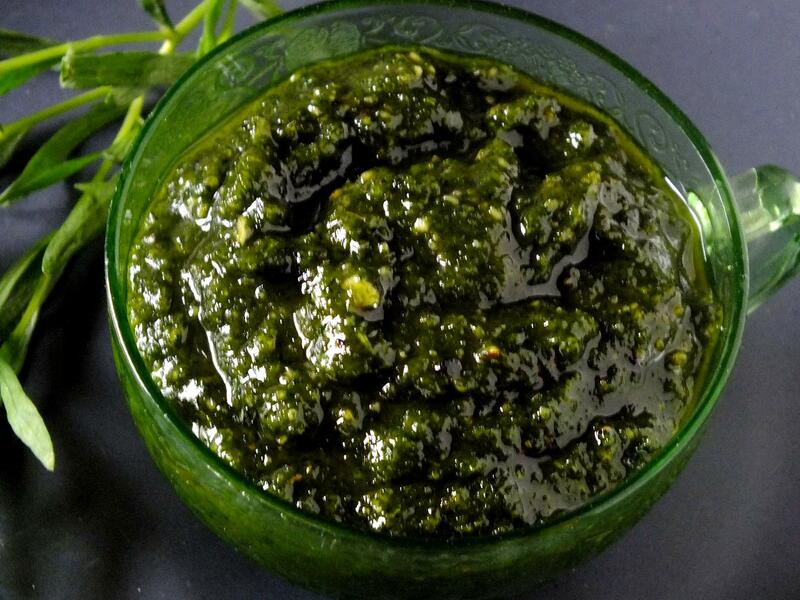 Finally, for now, but by no means exclusively – I can recommend making sage pesto and sage oil, keeping them in your fridge or freezer and using the verdant mixtures day in and day out to brighten your plate. Mix together sage leaves and flowers with mint, cinnamon and dried rose buds. Pour over boiling water and brew for about five minutes. Drink drink hot, at room temperature and be sure to try it over ice too. Two handfuls mixed grated cheese. I used the leftovers in the fridge. Blend together sage leaves, olive oil, salt, pepper and garlic. Artemisia dracunculus. The name conjures up mythical realms. Kingdoms filled with swirling mists, ancient turreted castles perched atop snowy peaks, emerald-green enchanted forests, fire-breathing flame-wreathed dragons. Worlds worthy of the Game of Thrones. The plant however with its delicate blade-like green leaves does more than just conjure up mythical fantasies, it works magic in the harsh reality of the modern day kitchen. If you are not already a lover of tarragon then now is the time to enchant yourself and dash out and buy a plant – or at the very least buy a plastic bag of tarragon from the herb section of your supermarket. Well if you can find it, that is. You’ll never regret planting tarragon in your garden – every spring it reliably reappears pushing new green shoots up through the soil regardless of whether you have watered or not. And then until fairly late into winter you’ll have a steady supply of flavour on your doorstep. Ever since I first had a tarragon plant I’ve had dreams of making a dish using the four fines herbes but have never had much luck growing chervil, nor parsley for that matter. I think chervil requires just a little more care than I am ever able to give a plant. Although as I write this I wonder if we have any chervil seeds and if I should quickly go out into the garden and plant them. I haven’t actually used tarragon in a very classic way. For example I’ve never in my life made a Béarnaise sauce. For many years the only way I used tarragon was stuffed into the cavity of a chicken done the Nico Ladenis way – with honey and black pepper. I believed that recipe alone was the reason to have a never-ending supply of tarragon. But I do keep wondering how else I can put my bountiful supply to good use. I’ve made Heidi Swanson’s tarragon oil a couple of times, most recently as part of a trio of potions for Scarlet Bennett’s creative challenge. Tarragon oil is a versatile and essential addition to any grocery cupboard. Make yourself a batch – you won’t be sorry. Lately I’ve been a bit obsessed with pairing tarragon with lovage as in green eggs and frittata. 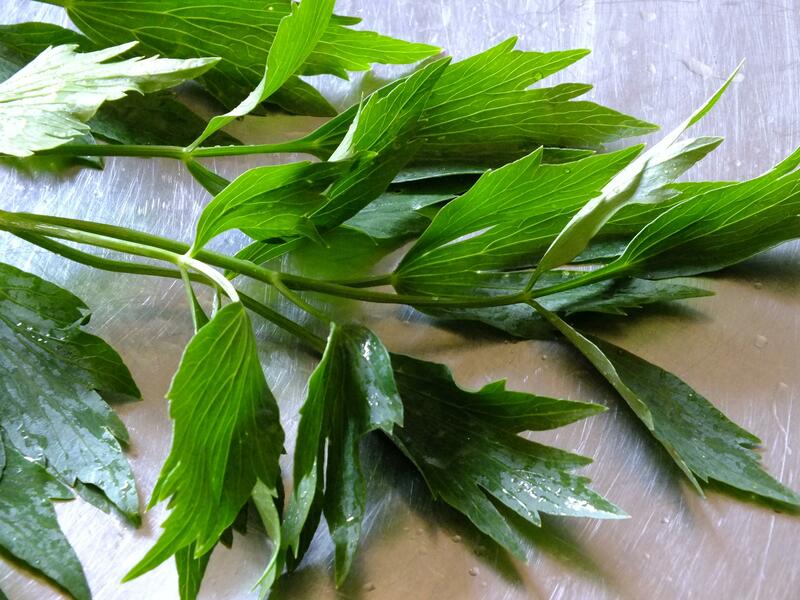 I’ve made tarragon tempura – and lovage tempura too. 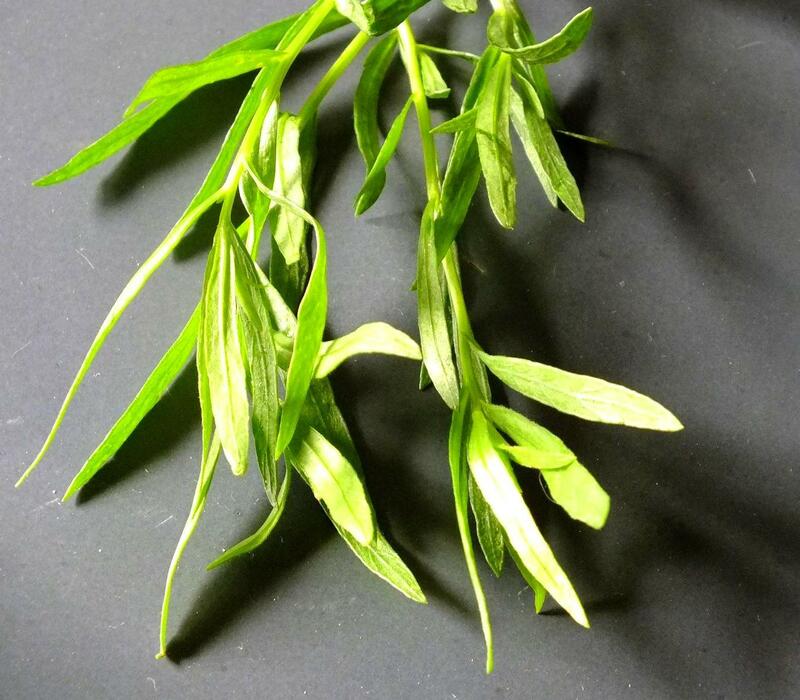 Tarragon leaves brighten up a jug of iced water and the stalks make a good tea. I’m sipping some as I write. On Sunday I served antipasti from Super Sconto to our Allaboutwriting ‘Secret of Story’ participants. I bought some bocconcini and I thought I’d mix them with baby tomatoes in a salad but I really needed some basil, or pesto which I didn’t have. I hate buying basil and pesto but our basil is nowhere near pickable yet. I stood staring out at the vegetable garden and the tiny basil plants wondering what else we had in the garden that could add a little Italian flavour – origanum and rosemary certainly could. I could make a nice olive oil dressing of course. But I had my heart set on pesto. Mmmm. Could I make a tarragon pesto, I wondered? Blend the whole lot together but don’t over-process. Next up I’ll be making tarkhun, tarragon cake, potica, tarragon ice cream and tarragon jelly. Pity it is already dark or I’d be out in the garden harvesting leaves. Why eat sweet ice cream when you can have savoury? It all started with a tweet, a tweet that felt very much like a challenge. Naturally I clicked on the link. Jackie Cameron had just posted a selection of her savoury ice creams. How thrilling. The flavours just begging to be tasted. There was the tweeted-about baked bean ice cream, biltong, red onion, Maltabella, Parma ham and Parmesan ice cream. All of them, except the Maltabella ice cream which is a breakfast ice cream, served with hot soup. Now I have eaten ice cream for breakfast but I haven’t ever dreamed of putting it in soup. 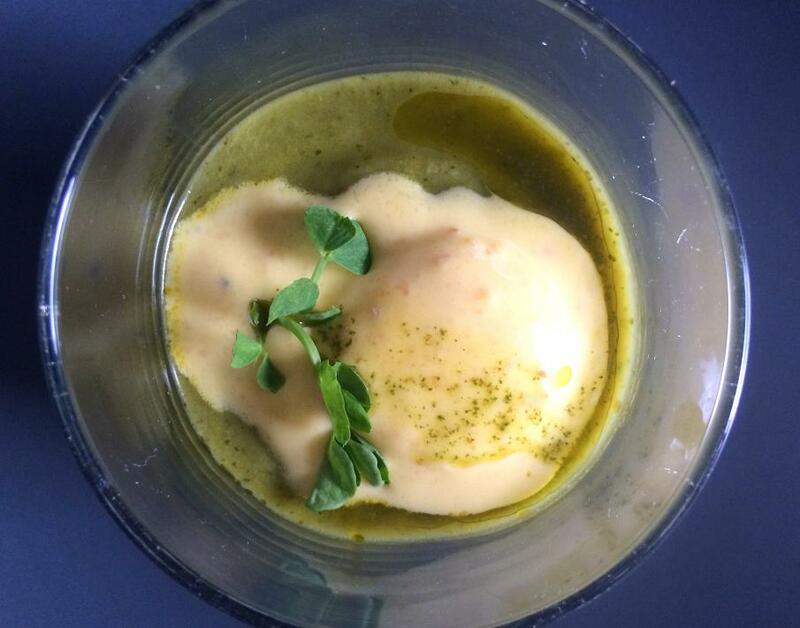 Who could resist the idea of savoury ice cream in a soup? The hot and cold mix, the element of surprise and the added blast of flavour. How brilliant. Di couldn’t possibly have known that at the very minute that I got her tweet, I was surrounded by recipe books and was googling like mad trying to work out the menu for a drinks party. This was clearly the answer to my quest for something that would make the food a little different, something special, slightly unexpected. Soup served in a glass would be the ideal addition to my menu. But which flavour ice cream? I felt compelled to try the baked bean version. And because I’m on a mission to find ways of using lovage, I could make the recommended potato soup and flavour it with lovage. With maybe a garnish of lovage tempura. Good, but not good enough. This was a fattening soup, what about all the dieting, banting, no carb people? The mere addition of ice cream to a soup would be an affront to anyone watching their weight. Maybe I should make a second option that would be slightly less horrifying to a dieter? I could make a consommé with granita. That would satisfy the dieters. Nope, I wasn’t going to do that. It didn’t feel festive and of course I was drawn to the savoury ice cream. A fresh healthy green option using some of the tons of mint in the garden at the moment would be nice. Mint and pea, of course, is always good. So which ice cream would be best with it? I wanted to keep the soups vegetarian so I immediately eliminated the Parma ham and biltong ice creams. Parmesan ice cream it would be. Jackie recommends serving the Parmesan ice cream with a courgette soup so I decided on pea, courgette and mint soup, drizzled with a mint oil. I was a little worried about serving hot soup in summer but thought the evening could well be cool and the ice cream would of course mean the soup wouldn’t be piping hot. It might even be raining. It’s summer on the highveld, after all. Maybe it wouldn’t even be warm enough to sit outside. Friday was a searingly hot day. Much of the vegetable garden wilted in the heat. I could hardly bring myself to go outside. It was cooler standing at the stove frying multiple pans of blini. Maybe I’d been stupid to think of a hot soup in summer. I’d been seduced by the savoury ice cream and hadn’t really thought things through. The snacks were going to be a flop. Should I abandon the soup and dash out and buy something? A platter of antipasti? There was no time for this. I just had to make what I had work. I spent the entire day vacillating between hot, room temperature, chilled, hot, room temperature, chilled. I didn’t want to ruin the drama of the hot/frozen contrast. What to do? I could wait until 5pm and then decide. Maybe it would have cooled down or poured with rain by then. But then my guinea pig came into the kitchen for a quick late lunch. I served him the two soups – cold from the fridge – with the ice cream. He declared them delicious. And later that evening all the guests did, too. Today is much cooler, it might even rain. Hot soup with cold ice cream is definitely on the menu. Well, that’s if there’s any ice cream left after my mid-afternoon baked bean and Parmesan ice cream sundae. Wish I’d made the Parma ham ice cream too. Click here for the Parmesan ice cream recipe and here for the baked bean ice cream recipe.